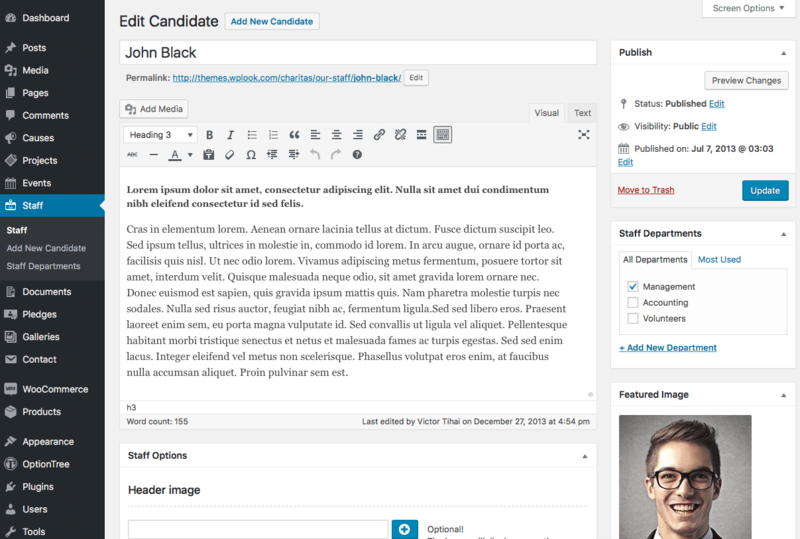 You can add new staff members through Staff → Add New Candidate in the WordPress Administration Panel. The phone number of this staff member. The email address of this staff member. The URL of the staff member’s website.